Tanzania Airports Authority (TAA) is a Government Executive Agency established to operate, manage, maintain and develop Government owned Airports with a commercially oriented Management Style. The Authority hereby invites applications from suitably qualified, creative and results driven candidates to fill the following existing vacant posts. (xviii) To perform any other duty as may be assigned by supervisor. The successful candidate will receive competitive remuneration and benefits according to TAA Scheme of Service. (viii) To perform other duties as may be assigned by Supervisor. Holder of Bachelor Degree in Business Administration, Human Resources, Public Administration, Law, Logistics Management or equivalent qualification from a recognized Institution. (i) To assist Aircraft Marshaller in marshalling of aircraft activities. (xi) To perform other duties as may be assigned by Supervisor. (vi) To perform other related duties, as may be assigned by supervisor. Holder of Certificate in Mass Communication, Journalism, Public Relations and Advertisement or equivalent qualifications from a recognized training institution. (vi) To perform other related duties as may be assigned by supervisor. Diploma in Mass Communication, Journalism, Public Relations and Advertisement or equivalent qualifications from a recognized institution. (vi) To maintain awareness and compliance with technical, safety health environment (SHE), standards, regulations and procedures. (x) To perform any other duty as may be assigned by supervisor. Holder of a Diploma (NTA 6) in Civil, Building, Electrical, Electro mechanical/Mechanical, Electronics and Telecommunications or Full Technician Certificate (FTC) in respective fields. The candidate must be computer literate. (xii) To perform any other duties as may be assigned supervisor. (ix) To perform other duties as may be assigned by supervisor. 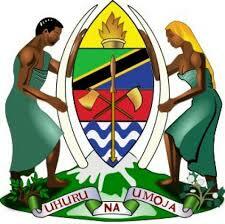 Holder of Diploma or equivalent qualification in Nursing and registered by the Tanzania Nurse and Midwife Council. (viii) To perform other related duties as may be assigned from time to time by Supervisor. i) Holder of Ordinary Secondary School Certificate and Class ‘C’ or ‘E’ driving license. ii) Attended Basic Driving Course offered by VETA or any recognized Institution. iii) Motor vehicle driving experience of at least one (1) year without causing an accident. The successful candidate will receive competitive remuneration and benefits according to TAA Scheme of Services. (x) To implement the marketing strategy with specific objectives and targets as agreed and, (xi) To perform any other activity as may be assigned by Supervisor. Holder of Bachelor Degree in Commerce, Economics, Business Administration, Entrepreneurship, Marketing, or equivalent qualifications from recognized institutions. (xii) To perform other duties as may be assigned by supervisor. (ix) To perform other related functions as may be assigned by Supervisor. (xvii) To perform other related functions as may be assigned by Supervisor. Holder of Diploma in Accountancy or equivalent qualifications from a recognized institution. i) Holder of Bachelor Degree or Advanced Diploma in Auditing, Accountancy, Finance, Commerce, Business Administration (Majoring in Accountancy) or equivalent qualifications from a recognized training institution. ii) Possession of CPA (T), ACCA, CIMA, CIA or its equivalent qualification and registered by NBAA. (xiv) To perform any other duties as may be assigned supervisor. Holder of Bachelor Degree or Advanced Diploma in Civil Engineering, Mechanical Engineering, Electrical Engineering or Environmental Engineering, from a recognized Institution. Must be registered by the Engineers Registration Board (ERB) as a Graduate Engineer. (x) To perform other duties as may be assigned by supervisor. Holder of Form IV or VI Certificate with Certificate in Records Management, Archives or equivalent qualification from recognized institution. Good communication skills in both English and Kiswahili and must be computer literate.